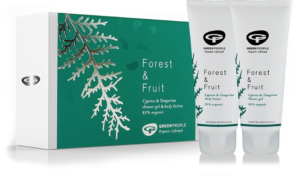 Organically certified cosmetics brand Green People is your absolute go to for any of you aiming to gift more conscious items this year. With ethical goods becoming more popular, you can treat the ones you love, with products they will love, that are kind to the environment too. The vast product offering has something for absolutely everybody, and the quality is second to none. The products really do work good, and do good at the same time. From an amazing range of make up, skin care and hair care, various different gift bundles have been put together to make the whole green gifting process a little bit easier. Our favourites are below. Includes the Shower gel and Body cream, in very festively fitting packaging. Includes the Shower gel and Body cream. 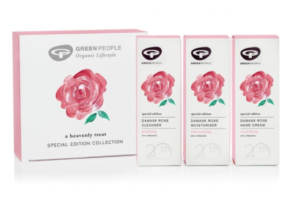 Includes the Damask Rose cleanser, moisturiser and hand cream. 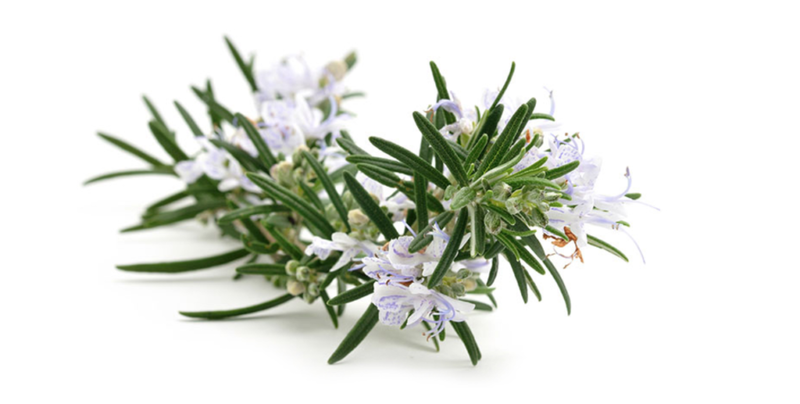 A real treat and perfect for those who love a pamper.